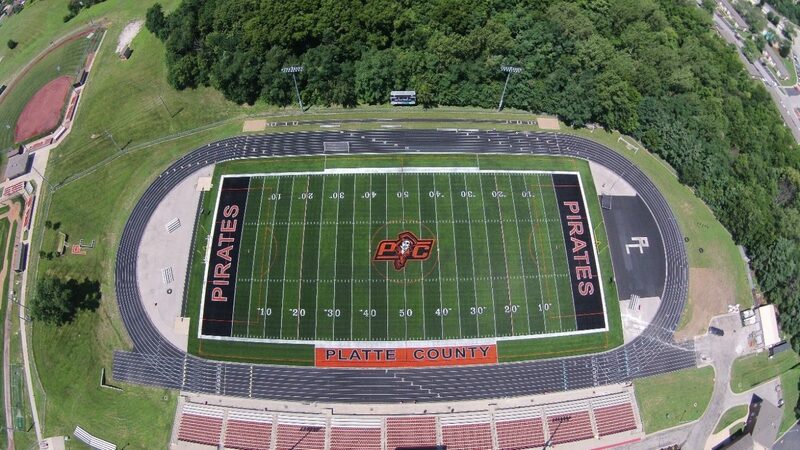 Platte County High School recently hired Sporturf dealer, Midwest Synthetic Turf Professionals, to construct an incredible football field for Platte County High School located in Platte City, MO. Craig and his team installed 80,000 SF of Sporturf™ PowerHouse. Shonk worked with school officials to create a striking field with a fierce logo in the center of the field.